Got your spine sorted? Nice! Now with a solid foundation, we can move on to focusing on other specific areas of body positioning. Getting into any corner is more or less achieved only with your arms, by assertively pushing on the bars (countersteering) to make your bike lean into the corner. Once the bike is cranked over, the line it travels is dictated by your corner entry, maintenance, and exit. A lot goes on in maintaining a line through a corner, particularly long, sweeping corners – when to let off the brakes (if you're trail braking), when to add throttle to keep from drifting too far into the corner, when and how much to get back on the gas for the corner exit, etc – all of which we could devote an entry to. At this time though, we are focusing on our upper body, and how it can help steer the motorcycle through the corner when already leaned over. Sometimes we go in too hot into a corner, or in other words, faster than intended. The general result is your bike will track a wider line than you intended. So you crank your bike over as far as you can on the side of the tires, hoping to tighten up your line. If you were at the limit of your lean angle (or at least feel like it), your survival instinct likely won't let you lean the bike any more, even if your line hasn't tightened up enough. This is where your upper body and how you move it can be of great use. Through a corner, you can use your upper body as a "rudder." By dropping your upper body lower and out towards the inside of the corner, you can tighten up the arc that your motorcycle is traveling on, without any further input on the steering bars or letting off the throttle. Ignoring the exact science of how or why this occurs (Wind drag? Shifting weight?? MAGIC??? 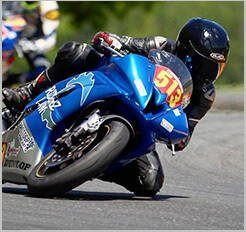 ), this is a technique that does not stress your motorcycle – especially your tires – any further just to tighten your line. 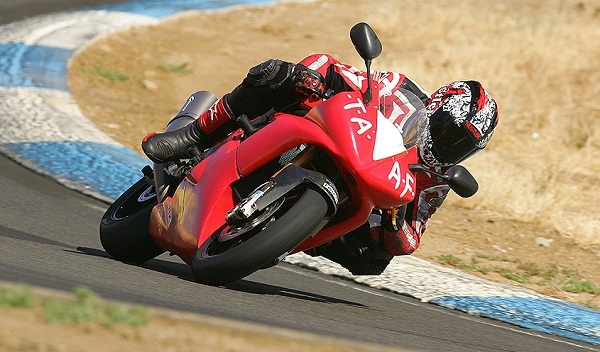 Nor is this just a last resort maneuver; moving your upper body out and lower into the corner gives you the ability to delicately steer your motorcycle as needed while leaned over, the time when finesse and minute inputs matter so as to not upset the motorcycle, and ultimately its grip on the pavement. Tip: Unsure if you're moving your upper body out and low enough? Make it a point to let your inside elbow rest just over your inside knee or leg. 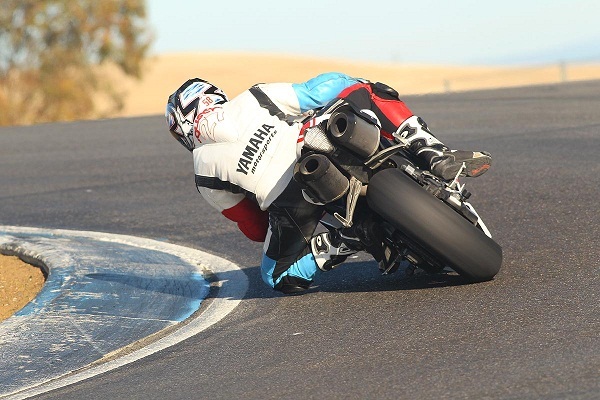 Try this experiment: When cruising in a straight line, and without putting any pressure on the steering bars or foot pegs, shift your upper body down and out in either direction. Did you continue to cruise straight? 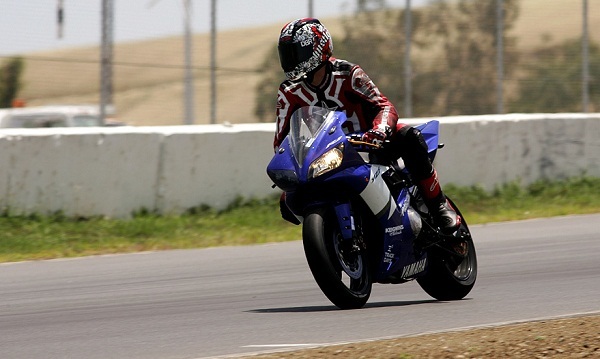 Upper body steering can also help your corner exit speeds – you can stand the bike earlier for maximum throttle while maintaining your line by keeping your upper body hanging off. Like actual rudders, this technique isn't going to accomplish much on its own. But in complement of your principal techniques, this little bit gets you that much further.